Gosh I’ve made heavy weather of this activity. I found it impossible but thanks to some forum posts I think I can complete in a way that is useful to me. 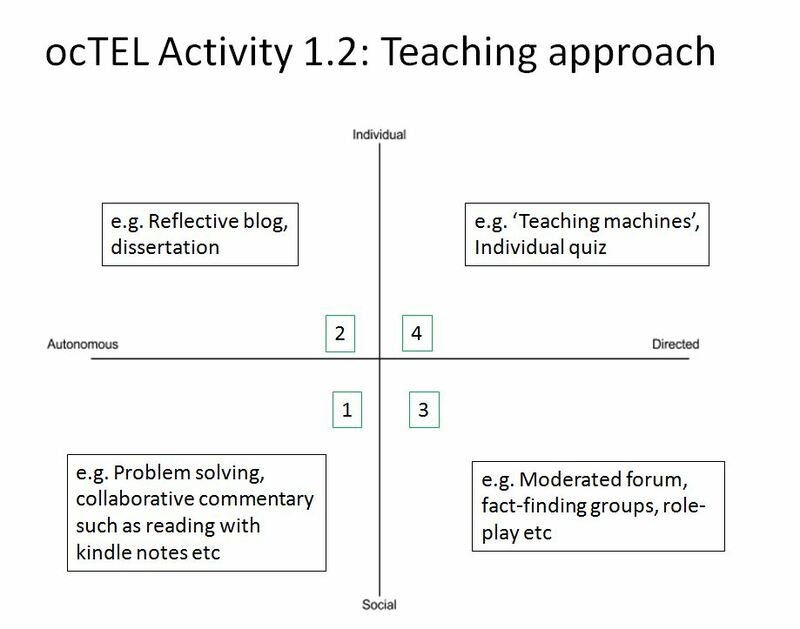 I did have plans to use the two axes in a spider-diagram style and plot (colour-coded) each of the following: my approach, activities and assessment tasks – possibly over-thinking it (really?!) or a form of avoidance of committing to a position.